Haitians gathered in Port-au-Prince’s National Cemetery to pay their respects to their deceased loved ones during Day of Dead celebrations. Visitors paid tribute to the dead by offering them their favourite food and vices – like local rhum – to entice them to return home for a visit. “We ask for luck, liberty, and long life from the dead. We ask for all the good things from the spirits,” said Port-au-Prince resident Lamerci. People in Haiti make annual visits to cemeteries on the first two days of November to pay tribute to the spirits and honour Gede, the god of the dead. Day of the Dead is celebrated across Latin America and the Caribbean. 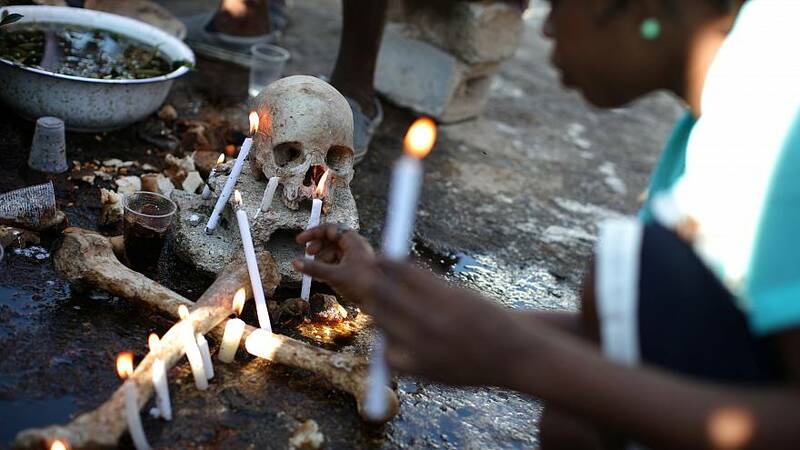 But the celebration has a twist in Haiti – where voodoo practitioners head ceremonies to honour their ancestors. Voodoo came to Haiti with slaves imported from Africa and has thrived, embedding itself into the everyday life of Haitians.